Here at The Pen Company we adore autumn — from the crunchy red, orange and brown leaves on the ground, to the crisp frosty morning air, to wrapping up in our soft and cosy scarves and gloves every time we leave the office. 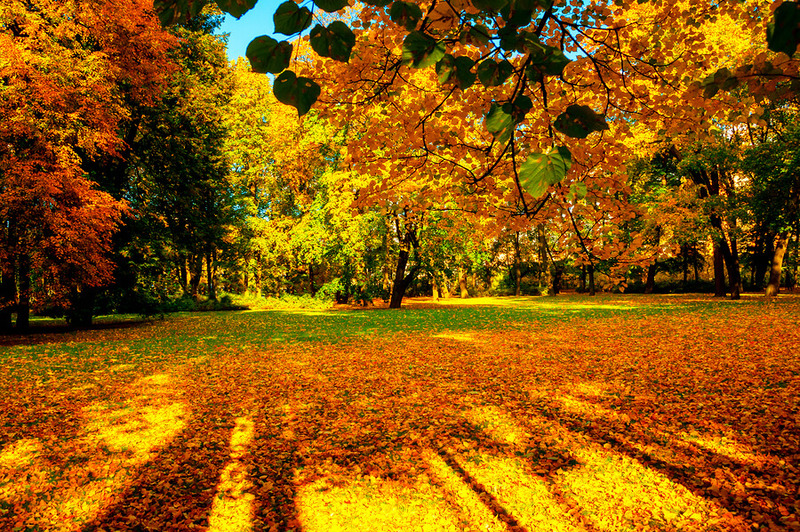 Above all we love the colours of autumn — the browns, greens, reds, oranges and golds. Autumnal colours are also very ‘in’ this season, and so what better time to treat yourself or a loved one to some autumnal stationery? Embrace the season with one or two of the suggestions below. 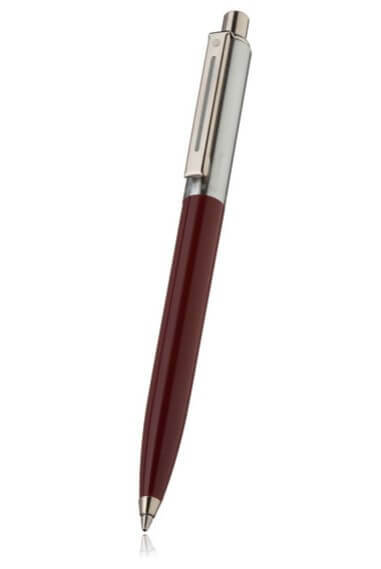 Our Kaweco Classic Sport range in Bordeaux is ideal for this time of year, being dark red with brown undertones. Available in this popular, retro and highly affordable range are the Classic Sport fountain pen, ballpoint pen, rollerball pen, clutch pencil, and mechanical pencil. Choose your favourite or treat yourself to a full set for your desk or pencil case. 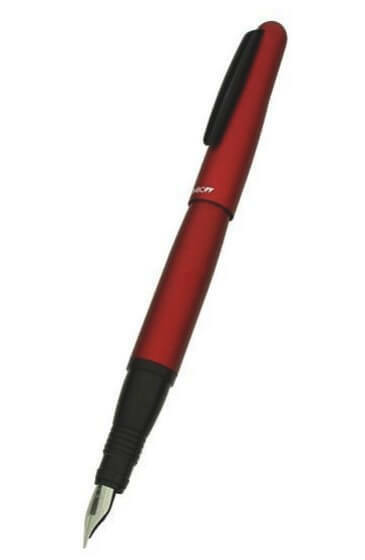 The Tombow Object fountain pen in Red is perfectly balanced, smooth to the touch, and the optimal weight for writing. Not only that, but the colour is absolutely beautiful, evoking feelings of cosy nights at home with loved ones when it’s bitterly cold outside. 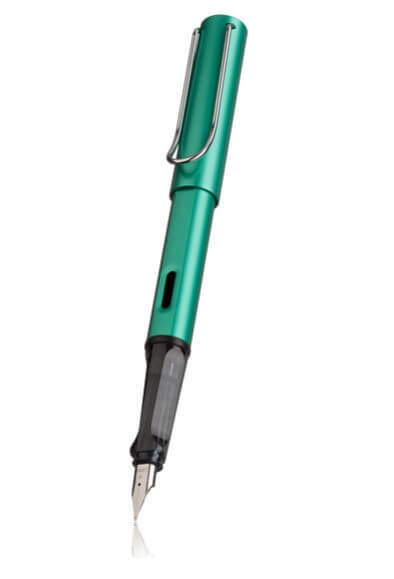 Our Lamy AL-Star in blue-green is available as a fountain pen or ballpoint pen, depending on your writing preferences. The colour reminds me of pine trees and cold, deep lakes (and dragons!) — a colour that celebrates the great outdoors in the cooler weather. 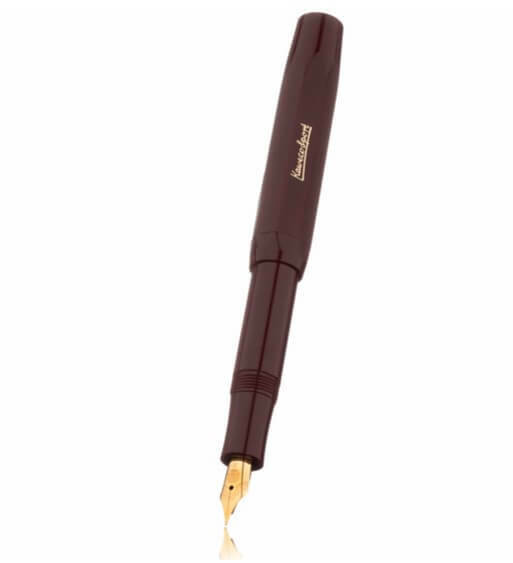 The Sheaffer Sentinel resin ballpoint pen in Burgundy features a brush chrome cap, which perfectly complements the reddish brown of the barrel. This well-priced pen could bring autumn cheer to any desk, pencil case, briefcase or handbag. 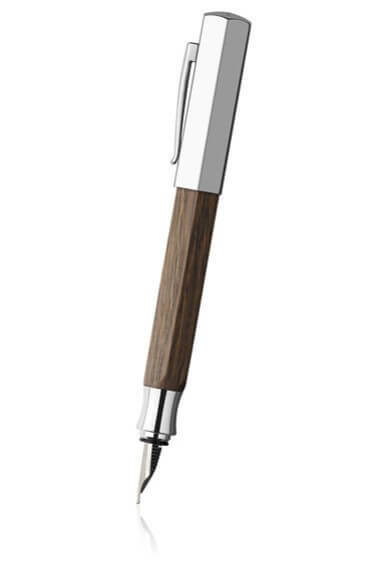 The Faber-Castell Ondoro range in Oak features a fountain pen, ballpoint pen, rollerball pen, and mechanical pencil. Made from a stunning grained oak wood, this collection is absolutely ideal for bringing the outdoors in this season. Our Conklin fountain pen and ballpoint pen in Cinnamon Brown feature a golden orange finish with undulating bands of darker tones. Much like a roaring fire, these glorious pens give their users cosy feels. Our Graf von Faber-Castell desk pencils in brown are reminiscent of a stack of logs outside, ready to burn on the warming open fire indoors. 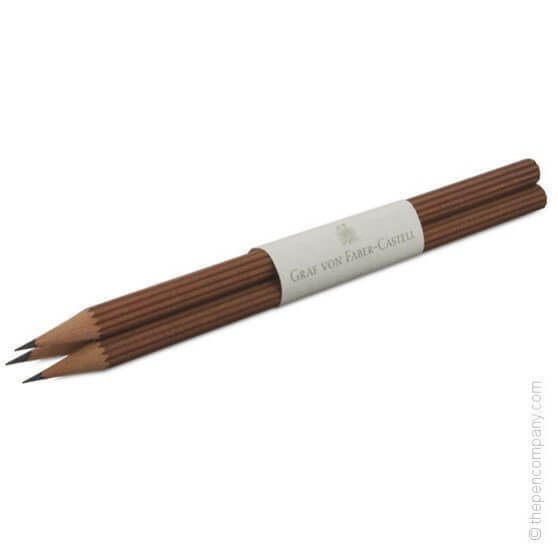 Each graphite pencil in this bundle of three is encased within brown Californian Cedar wood and features B grade lead. It’s not just our writing tools that are evocative of lovely autumn days. 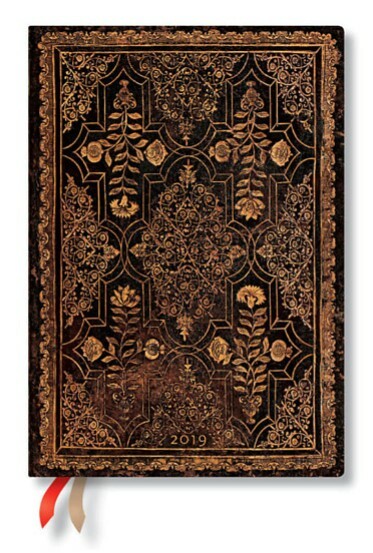 Our Paperblanks Fall Filigree 2019 diaries are available in a variety of sizes and colours, and the word ‘Fall’ in their name is certainly no accident. These diaries combine base autumnal colours with a contrasting botanical foil pattern, for a luxury yet antique finish. This diary would certainly not look out of place if you chose to write in it while curled up on a chair next to a roaring open fire!